As a child, Amalia always thought she would grow up to be a teacher, until she saw a performance of dancers in her town square. She was fascinated by the way the dancers twirled and swayed, and she knew that someday she would be a dancer, too. She began to study many different types of dance, including ballet and modern, under some of the best teachers in the world. Hernández traveled throughout Mexico studying and learning regional dances. Soon she founded her own dance company, El Ballet Folklórico de México, where she integrated her knowledge of ballet and modern dance with folkloric dances. The group began to perform all over the country and soon all over the world, becoming an international sensation that still tours today. 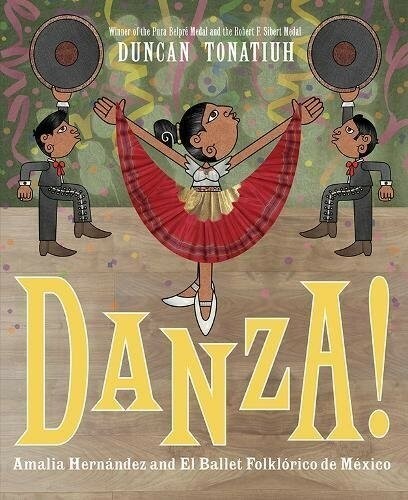 With Tonatiuh's distinctive Mixtec-inspired artwork and colorful drawings that seem to leap off the page, Danza! 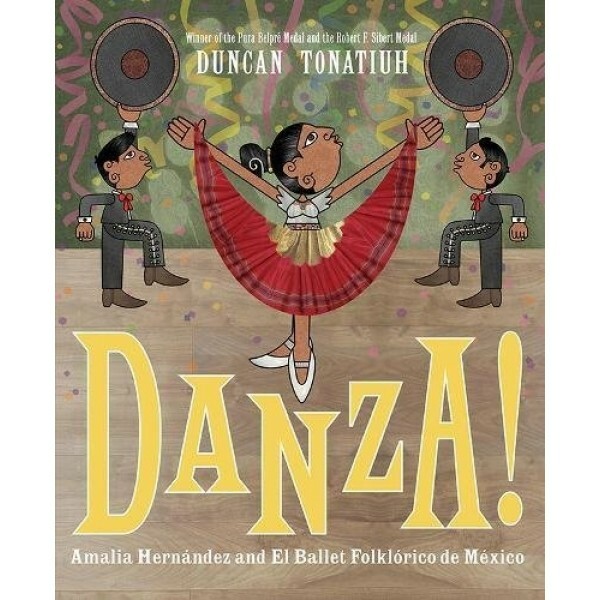 will enthrall and inspire young readers with the fascinating story of this important dancer and choreographer.